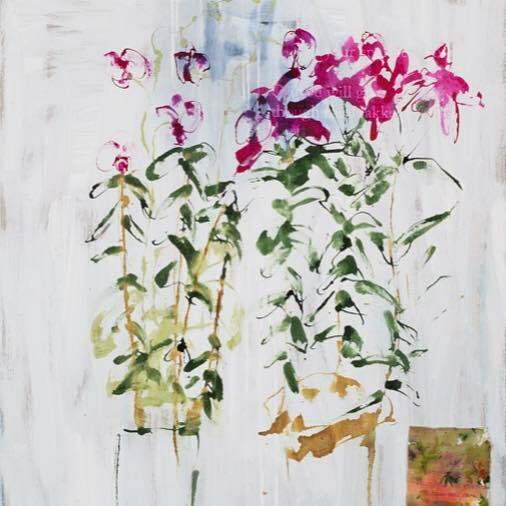 Mary Schepisi ‘Spring Flowers’, 2018 ink on canvas 750cm x 950cm. And needlework on fabric 75cm x90cm. 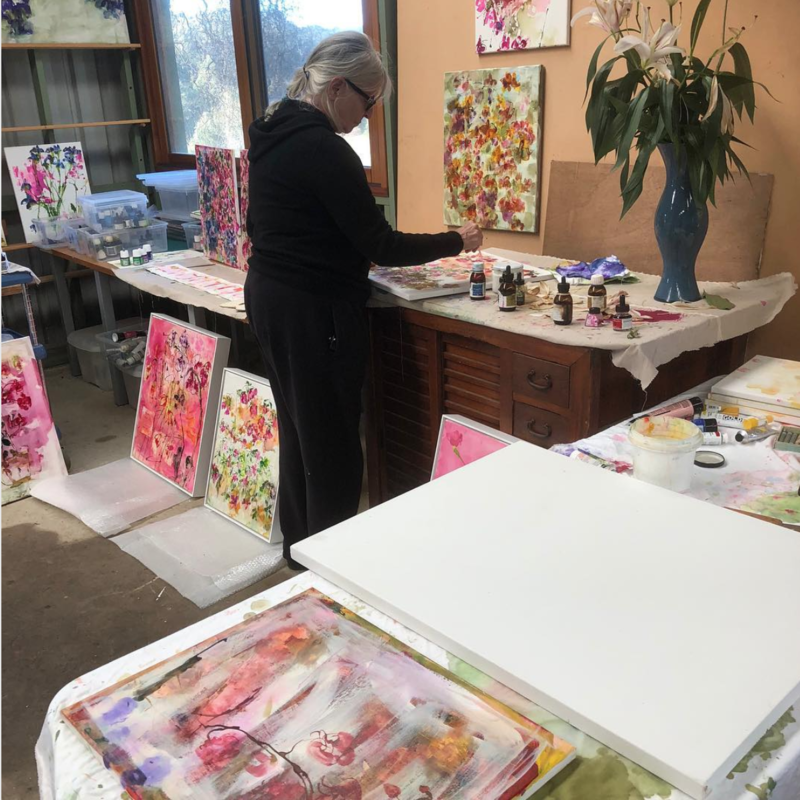 My friend and best watercolor painter. This is a watercolor. A beautiful painting. Come see it and take it home you will love it forever. By Jason Roberts . 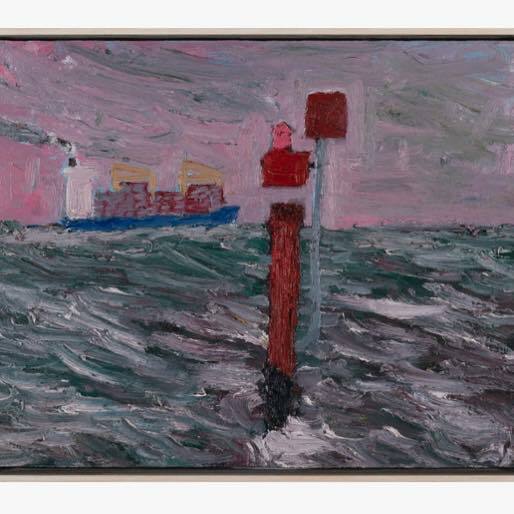 Julian Twigg’s beautiful ‘Red Channel Marker’ , 2015 oil on board. 60cm x 45cm. 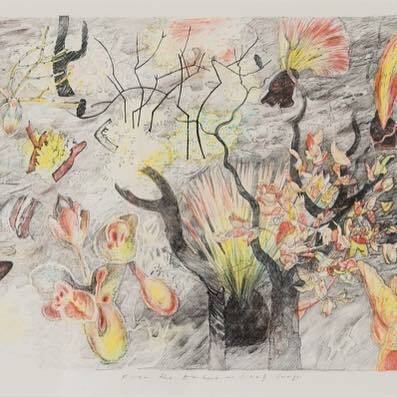 There are two John Wolseley’s in the New Directions Art Auction. More beautiful in person. Wonderful and spontaneous Soni Irawon’s latest work is so colorful and clever. 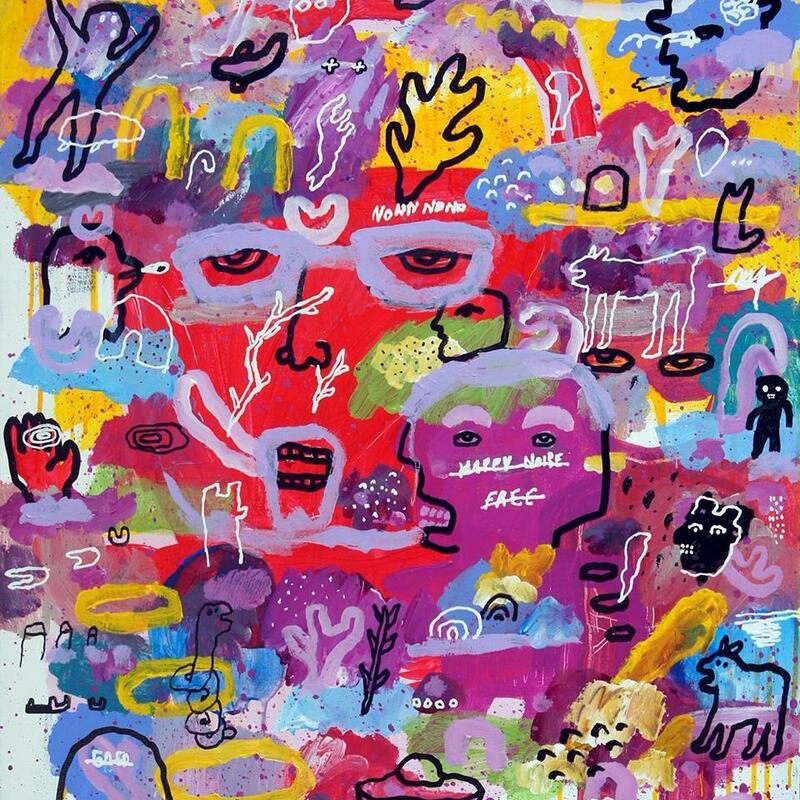 Acrylic, paint marker, correction pen on canvas 70cm x 80cm. 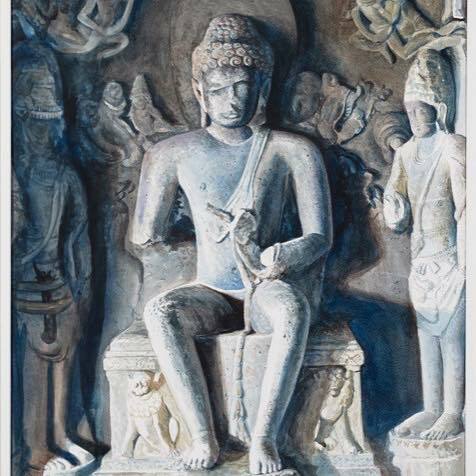 This favorite piece, by Caleb Shea, was featured in The Australian article on Monday ‘New Directions as auction gives back to creators’. 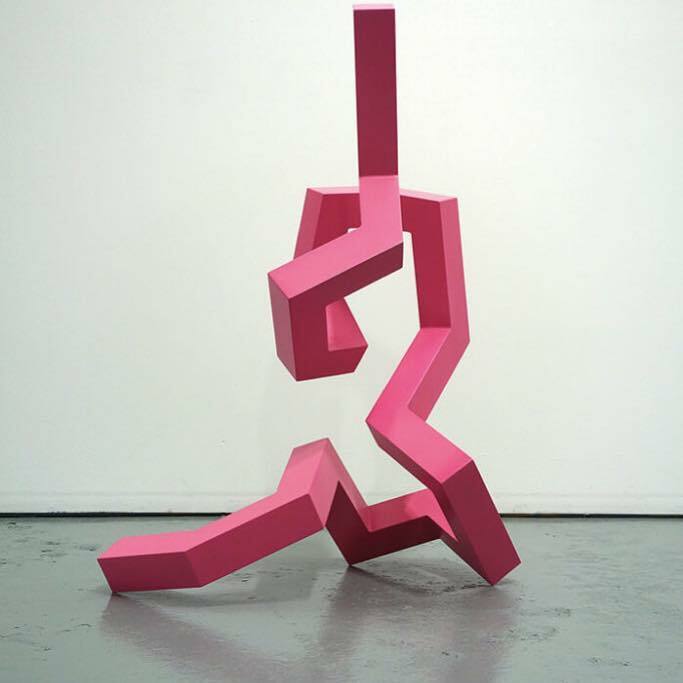 @_calebshea Untitled,(gradient of pink on shouldered single line) 2018 Polyurethane paint and aluminum. 111cm x 80cm x 65cm . Yippie. We have @doc_gastronomia in Southbank.